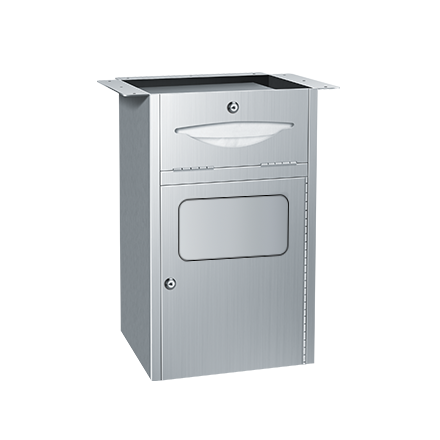 Dispenses 300 C-fold or 475 multi-fold paper towels and has a waste capacity of 10 gal (38 L). Waste disposal door is spring loaded to remain shut. Towels are self-feeding until supply is depleted. Unit may be reloaded with a partial load in-place and will continue to feed properly. Waste container is emptied manually. Locked compartments prevent unauthorized access or removal.